Thousands of Jews hold mass Passover prayer at Jerusalem’s Western Wall Thousands of Jewish worshippers attend a special ‘Priestly Blessing’ prayer in front of Jerusalem’s Western Wall, a site heavily secured amid months of violence and heightened tension over the Jewish holiday of Passover. STORY: Thousands of Jews gathered at the Western Wall in Jerusalem on Monday (April 25) to attend a mass prayer for the holiday of Passover. The crowd of men, women and children took part in a special prayer called Birkat Hakohanim, the Priestly Blessing, which draws Jewish worshippers from across Israel and around the world. It is held twice a year, during the Jewish holidays of Passover and Sukkot. Kohanim, or priests, lead the communal prayers by chanting three consecutive verses of the Torah (Jewish scripture), one word at a time, in a special song reputedly dating back to the Temple era itself. Considered Judaism’s holiest site, the Western Wall is a remnant of the compound of the Second Jewish Temple built by King Herod the Great, which was destroyed in 70 AD. It is located just below the al-Aqsa mosque compound, Islam’s third most holy site. The proximity of the two sacred sites can be especially volatile, which was on Monday secured by thousands of Israeli police and para military troops. Faithful of all religions are allowed to enter the Al-Aqsa compound, also known as Temple Mount, in pre defined time windows and under specific rules. On Monday, 842 visitors entered the compound and police removed three Jewish visitors who violated the visiting rules, a police spokesperson said in a statement. She said Israeli security forces had been deployed across Israel and Jerusalem during the week-long Jewish holiday. Such high alert has become common practice by Israeli security forces during major Jewish and Muslim holidays and has been intensified this Passover due to a six-month long surge of Israeli-Palestinian violence. אחרי שכבש כל במה אפשרית וריגש עשרות אלפי יהודים בארץ ובעולם, מפציע ילד הפלא, ארי רייך, בסינגל בכורה ראשון. שמו של ארי הולך לפניו והוא זכה להופיע לצדם של גדולי האמנים בשלל הפקות יוקרה ובדינרים למוסדות וארגונים. אם עד עתה נחשפנו לכשרונו וקולו המתוק רק באירועים ובסרטונים שעברו מאיש לרעהו במהירות הבזק, מגיש לנו עתה מפיקם של ילדי הפלא, משה כהן, שיר ראשון, שקט ומרגש, אותו הפיק עבור רייך. ר’ משה כהן המשמש גם כמאמנו המקצועי ומדריכו המוסיקלי של ארי רייך, עמל על מלאכת הפקת השירה של ארי תוך שימת דגש על כל פרט בכדי להגיע לתוצאה הטובה ביותר שניתן. “מילות השיר לקוחות מתפילת שמונה עשרה” אומר ר’ משה כהן, “כל אחד יכול למצוא אליהן חיבור נפשי עמוק ומלא רגש. לסינגל נלווה גם קליפ מושקע ומיוחד שמעצים את החוויה ונותן לשיר גוון נוסף”. After sweeping away the Jewish music world on dozens of stages and capturing the hearts of tens of thousands in Israel and across the world, wonder child Ari Reich breaks out with his debut single. Ari gained musical fame singing alongside the biggest names in the industry, in high society events and dinners for prominent institutions. Until now, we enjoyed his melodious voice only at events and in video clips passed from friend to friend at lightning speed. Now, Moshe Cohen presents a soulful new single he produced especially for Reich. sound of the choir testifies to his careful selection of the very best voices ever to join the Malchus Choir. R’ Moshe Cohen, who also serves as Reich’s musical instructor and mentor, gave careful attention to every detail necessary to create the best possible production. 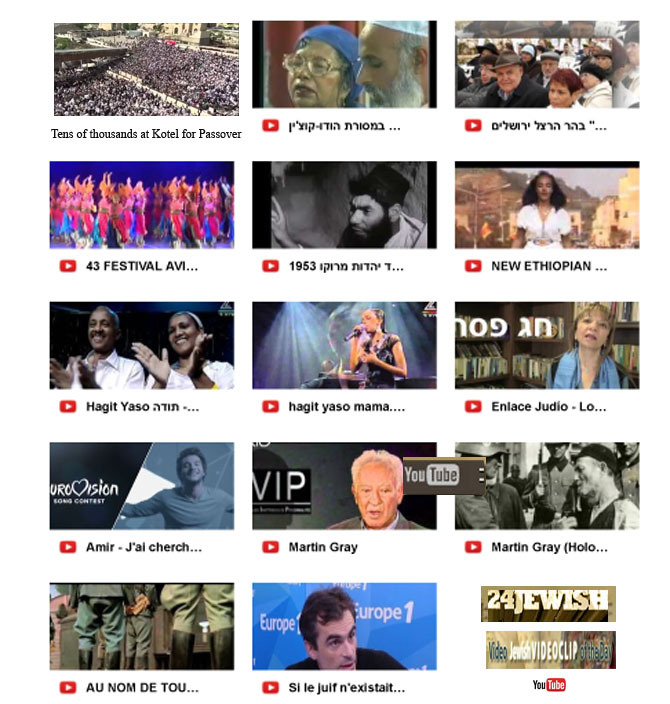 24Jewish JEWISH HISTORY Watch What Happens ! Hatikvah means “The Hope.” This was performed performed at Pa’amoney Hayovel (Jubilee Bells), Hebrew University Stadium, Jerusalem, Israel, Thursday, April 30, 1998 – by Rita. 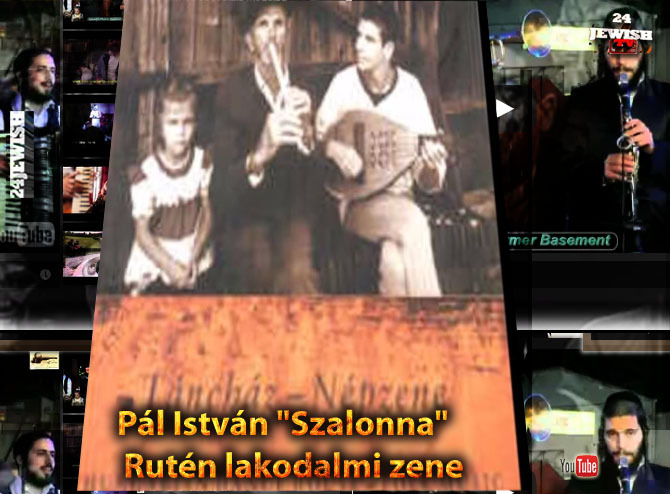 This song was sung by Jews as they were being led into the Auschwitz-Birkenau gas chamber of 1944. A large protective shelter delivered to a kibbutz in Northern Israel, founded by Holocaust survivors. This region is threatened again by rocket attacks from Lebanon. This film describes the Ghetto Fighters’ House Museum, which tells the story of the Holocaust but focuses on the fight for life, the triumph of the human spirit, and the wonderful ability of Holocaust survivors and resistance fighters to rebuild their lives and educate for a just and moral society. The history and educational activities of the Ghetto Fighters’ Museum and Yad Layeled Children’s Museum and Memorial, including the International Book Sharing Project and the Center for Humanistic Education. The story of the founding of The Ghetto Fighters’ Kibbutz and the world’s first Holocaust museum established there in 1949. The Aqueduct Family & Spa Resort, situated in the Western Upper Galilee overlooking the Mediterranean Sea. It is located on the site of ancient waterways that flowed through the region and the result is a magnificent family vacation resort that offers activities associated with a sense of wellbeing and the pleasures of life. אם המצות עדיין לא גמישות להרטיב עוד קצת מתחת למי ברז ולהניח למנוחה לכמה דקות עד אשר הם גמישות. 1 פלפל אדום חתוך לרצועות כשתי דקות. לערבב להוסיף כ-1 כף רסק עגבניות. כרבע כפית מלח או לפי הטעם. להוסיף כרבע עד חצי כוס מים,-לפי ההצורך. לערבב ולבשל עד אשר הרוטב מסמיך כ-5 דקות באש בינונית. לזלף על המצות שמן זית ולמרוח עליהם. Donald Trump has swept the board of all five Super Tuesday primaries, boosting his chances of avoiding a contested convention when the Republican Party meets in Cleveland in July to pick its presidential nominee.In whats being viewed as a major show of strength, the billionaire left his rivals Ted Cruz and John Kasich trailing in his wake. Un an s’est écoulé depuis le séisme au Népal qui a tué des milliers de personnes et blessé 15000 autres. La délégation de Tsahal était composée de chirurgiens et même de clowns. En un jour seulement, Tsahal a constuit son hôpital de campagne et a fourni aux victimes les soins médicaux dont ils avaient urgemment besoin. We are required to be joyous throughout the Passover Festival, so we should sing and rejoice! Play up your matzah this Passover with these five, easy to implement, IDF tricks. We wish you a tasty holiday! צילום, ביצוע ועריכה-אברהם וקנין, יו”ר סניף הפדרציה העולמית של יהדות מרוקו בתל-אביב. El domingo 13 de marzo se vivió en el Foro Aviv la Gran Final, donde los grupos finalistas seleccionados previamente durante la Primera y Segunda Noche de Bikurim en sus categorías Folklórica como Abierta, se presentaron una vez más, para que el jurado quien tiene la ardua tarea de calificar técnica, coreografía, vestuario, iluminación y muchas otras aspectos que se valoran en el trabajo dancístico, y determinen a los ganadores. Artículos, videos, noticias y mucho más sobre la expresión de la comunidad judía en México y la religión judía. Martin Gray (born Mieczysław Grajewski; 27 April 1922 – 25 April 2016) was a Polish Holocaust survivor who has published books about his purported experiences during the Holocaust, in which his family in Poland reportedly died. The film ‘Seeking Martin Gray’ was brought out in 2007. The film is available with english subtitling. Le film ‘A la recherche de Martin Gray’ a été publié en 2007. Selon Raphaël Enthoven, il n’est pas nécessaire d’être juif pour être victime de l’antisémitisme. Il suffit d’être désigné comme tel, en vertu de critères qui sont eux-mêmes une création de l’antisémite. 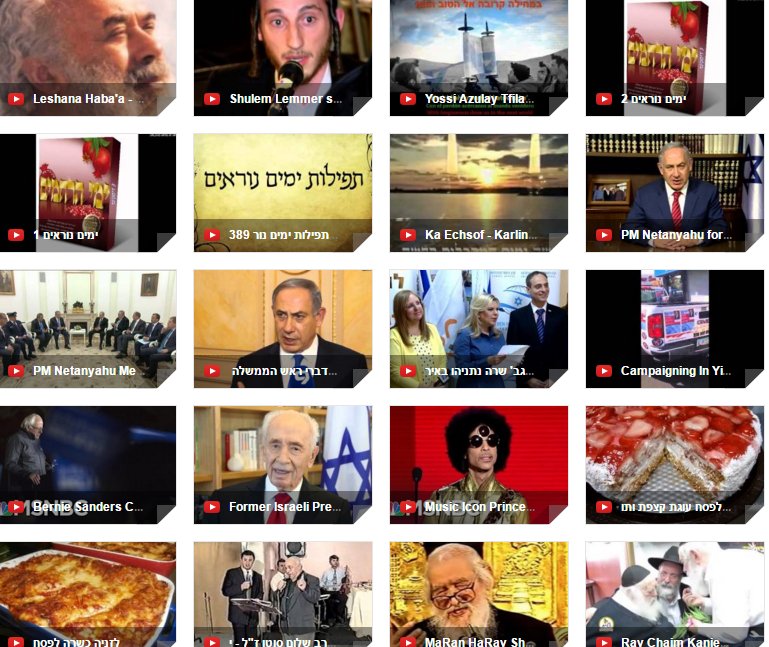 Today 24Jewish : 24Jewish Watch What Happens! Chag Sameach Pesach & Shabbat Shalom! 24Jewish : 24Jewish Watch What Happens! ▶ ▶ ▶24Jewish Watch What Happens ! Chag Sameach Pesach & Shabbat Shalom! Шаббат шалом! Хаг Песах кошер вэ самеах! ….essa é uma resposta à sua carta de Erev Shabat Codesh, na qual você transmite as boas novas sobre sua ótima decisão de observar as três lições diárias, Chumash, Tehilim e Tanya,acróstico de “CHITAS”, conforme estabelecidas pelo meu sogro, o Rebe. Você conclui ,porém,que isso lhe toma uma grande parte do tempo e interfere com sua rotina diária. È conhecido ,e amplamente explicado em muitos lugares, que Torá e mitsvot possuem uma Segulá especial que beneficia a pessoa tanto material quanto espiritualmente. Portanto ,entende-se que é literalmente impossível sua observância de “CHITAS”, e que pode atrapalhar aquilo que é realmente bom pra você. Todos esses pensamentos são meramente lisonjas da má inclinação, cujo único motivo para existir é para o homem escolher batalhar com ela e conquistá-la. Quanto ao tempo que o estudo toma, freqüentemente observamos que ,às vezes ,lutemos por um longo período de tempo para entender algo e mesmo assim falhamos em entender por completo. Outras vezes, podemos compreender um assunto num tempo muito breve. Tudo isso depende de nossa ajuda do Alto e da maneira pela qual merecemos essa assistência. Especialmente, quando uma pessoa contempla quem realmente é e que direito ela tem de exigir ajuda do Alto. Ele ,então , ira entender que merece ajuda Divina somente quando antecipar o “Faremos” antes do “Ouviremos”,isto é, através da aceitação do Jugo Divino. Certamente as linhas acima bastarão para remover qualquer pensamento de sua mente que os shiurim de “CHITAS”, poderiam agir como uma interferencia em sua vida…. 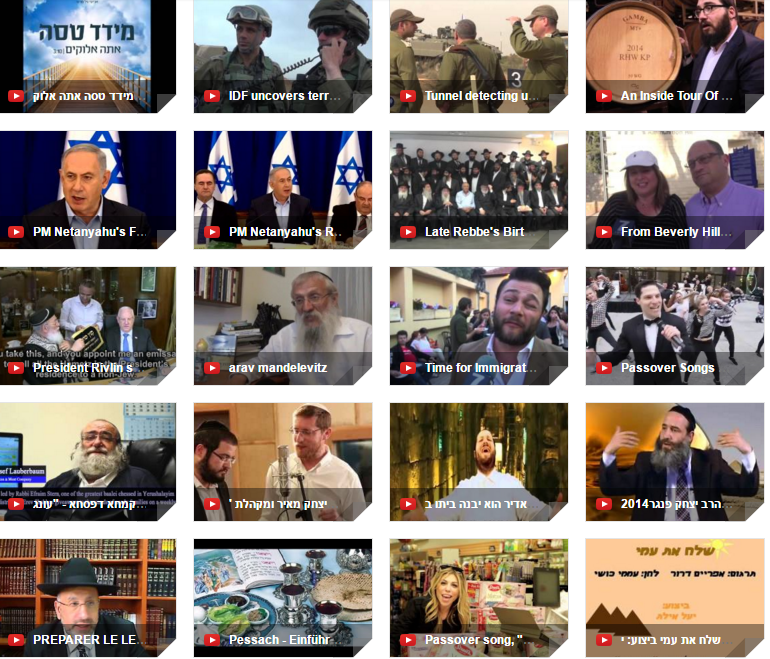 Tzena Tzena – This old army song from 1941 was made famous by artists such as Bing Crosby, Judy Garland, Richard Tucker, Nat King Cole, Ray Charles, Frank Sinatra, Chet Atkins, Connie Francis, Arlo Guthrie, The Barry Sisters, The Weavers, Pete Seeger, Chubby Checker, and many others. This is a new, modern, world music version, produced by RebbeSoul. Al na, Al na, Al na, al na titħabena Mi ben ħayil, ish tzava. (translation:Go out, go out, go out girls and see Soldiers in the moshava (a settlement). In the following years Cantor Malavsky enjoyed great popularity due to his brilliant performances at the pulpit and the concert stage. The Malvasky Family Choir includes the cantor’s four daughters (known as the Four Chazentes) and his two sons. 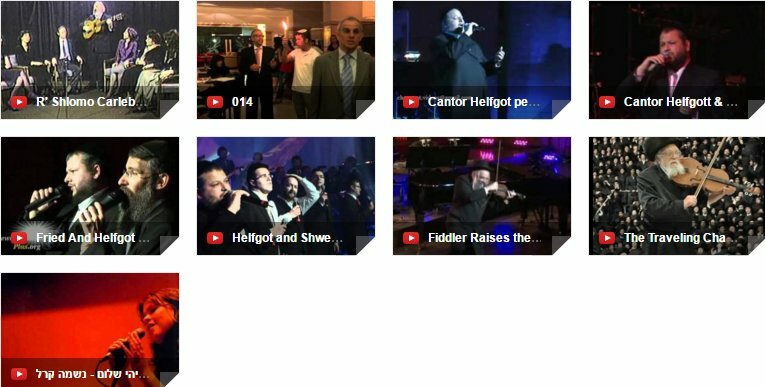 The cantor developed his children’s musical talents from an early age which allowed him to create a Family Choir comprised of six accomplished and outstanding vocalists. אני בא עכשיו מפגישה חשובה מאוד, מוצלחת מאוד, עם הנשיא פוטין. הגדרתי את המטרה כחיזוק התיאום הביטחוני בין רוסיה וישראל כדי למנוע תקלות. במהלך הפגישה סוכם שמפקד חיל האוויר, אלוף אמיר אשל, והמזכיר הצבאי שלי, תת אלוף אליעזר טולדנו, ייצאו לפגישה מיוחדת עם שר ההגנה של רוסיה וכמה גנרלים נוספים. הם קיימו את הפגישה, הם דנו שם באופן מפורט ויעיל בנושא התיאום בין הצבאות שלנו, בכמה נושאים שעלו לאחרונה על הפרק. אני חושב שהדבר הזה הוא חיוני משום שאנחנו חייבים לשמור על חופש הפעולה של צה”ל וחיל האוויר במקומות שחשובים לנו מבחינת הביטחון שלנו, ואני חושב שהדבר הזה הושג. הדבר השני שסוכם בפגישה הוא שבנושא הפנסיות, נושא מאוד כאוב ומאוד חשוב לעשרות אלפי ישראלים שאין להם פנסיה, סיכמנו שהנושא הזה ייחתם סופית במהלך הביקור שלי כאן במוסקבה ב-7 ביוני, כשאנחנו מציינים 25 שנים ליחסים בין שתי המדינות. אני חושב שאלה שני הישגים חשובים – אחד ביטחוני, שני חברתי, ושני הדברים הללו הם מתנה טובה לחג הפסח. אני שמח מאוד שעלה בידי גם לתקן את עניין הפנסיות, וכמובן להמשיך בטיפול השוטף והחשוב לביטחון ישראל. רעיית ראש הממשלה, הגב’ שרה נתניהו בארוע חלוקת תווים לחג הפסח לחיילים בודדים בשיתוף קרן היסוד וארגון בית חם לכל חייל בירושלים. Music icon Prince has passed away at the age of 57 at his Minnesota home, per his publicist. Former MTV VJ Matt Pinfield joins to discuss. אופן הכנת הטורט; תבנית 26 ס”מ משומנת. This clip testimony is preserved in the Visual History Archive: vhaonline.usc.edu. To learn more and explore the stories of other eyewitnesses to the Holocaust and other genocides, visit sfi.usc.edu. Prime Minister Benjamin Netanyahu’s remarks at the start of the weekly Cabinet meeting, which was held on the Golan Heights in honor of the 34th Government’s first year in office. It’s all systems go at Oneg Shabbos V’Yom Tov and last minute preparations are well underway for the 5776 Pre-Pesach Market – a market unlike any other, which will take place in Yerushalayim and Beit Shemesh. This Tuesday 10th Nissan, Rechov Shmuel Hanavi in Yerushalayim, and Wednesday, 11thNissan, Rechov Rav Yehuda Hanasi in Beit Shemesh, the streets will be closed off to traffic and transformed into open air markets, combining the essence of chessed with the mitzvah of Kimcha D’Pischa. Askanim and volunteers worked tirelessly in their modest headquarters processing all the lists well in advance, providing the individualized Yom Tov package to abundantly meet each of the more than 10,000 recipient families’ needs. Each family has already received their personalized vouchers in a discreet manner, together with the itemized information of exactly what they will be “buying” and where and when it can be picked up. The Pre-Pesach Market 5766 is fully stocked for more than 10,000 food packages consisting of a colossal 80,000 pounds of meat and chicken, 30,000 pounds of Matzos, 92,000 bottles of wine and grape juice from Italy for Kiddush and Arba Kosos, close to 2 million eggs and seven hundred thousand kilo of fruits and vegetables, and much much more. Families arrive at the market where there is an upbeat atmosphere as they pass the individual distributions points with their shopping carts and load the handpicked top-quality Pesach provisions and produce, in exchange for their individual vouchers which are the “currency” of this unique market. The “customer” comes to the beginning of the street and approaches a pile of potatoes, presents the voucher and a volunteer loads a few sacks into his cart. He then proceeds to a skid of apples and similarly a volunteer lifts a few cartons and places them in his cart. From there the “customer” continues on to the variety of canned goods, wines and other non-perishables before proceeding to the huge stock of matzos and then to the large freezers to pick up his meat, fish and chicken. Finally the “customer’s” voucher envelope is empty and his shopping cart is overflowing with everything his family needs to guarantee a joyful, worry-free Yom Tov. The calm, dignified, relaxed atmosphere truly makes a difference. The emotions written on the faces of the “customers” who come to shop at the pedestrian market attest to the tremendous impact on their lives. The reaction of joy, relief and tears of gratitude is frequently displayed openly, as families load their shopping into the vans and taxis that are lined up to transport the “shopper” and his provisions to his home, which is already sparkling and clean in honor of Pesach. Besides all the pre-planning, Oneg Shabbos V’Yom Tov, always prepares far more merchandise than the amount of the vouchers so that they can accommodate the influx of “last minute shoppers” from all ‘types and stripes’ and present themselves as in need fortzorchei Yom Tov. Simply sponsor a family this Pesach for $250 with the knowledge that Rabbi Stern and Oneg Shabbos V’Yom Tov are able to stretch every donor dollar to its maximum potential by their cost effective system of buying in bulk from manufacturers and suppliers who offer a generous discount. As you sit down to the Seder with your families you will have the zechus of having fulfilled Kol Dichfin as you envision the family that you have sponsored having oneg Yom Tov in Eretz Yisroel and may we all be zoche to L’Shana Habaah B’Yerushalayim. הרב יצחק פנגר הלילה של השנה פסח 2014! YOUR mission (if you choose to accept it): Find as much Kosher for PASSOVER food at the Streits matzo factory and at the supermarket as humanly possible! Mama Doni, “The Leader”, The kids “The M-Squad” and her puppets show that they’re up to the challenge as they dash through the matzo factory and the supermarket, picking up boxes as they fill up their shopping carts with matzot and head for home, tired but successful in their quest. Moses (Charlton Heston) goes to the court of the Pharaoh (Yul Brynner) demanding he let his people go. Moses turns his sceptre into a serpent, which swallows the serpents of the Pharaoh. Based on the Holy Scriptures, with additional dialogue by several other hands, The Ten Commandments was the last film directed by Cecil B. DeMille. The story relates the life of Moses, from the time he was discovered in the bullrushes as an infant by the pharoah’s daughter, to his long, hard struggle to free the Hebrews from their slavery at the hands of the Egyptians. Moses (Charlton Heston) starts out “in solid” as Pharoah’s adopted son (and a whiz at designing pyramids, dispensing such construction-site advice as “Blood makes poor mortar”), but when he discovers his true Hebrew heritage, he attempts to make life easier for his people. Banished by his jealous half-brother Rameses (Yul Brynner), Moses returns fully bearded to Pharoah’s court, warning that he’s had a message from God and that the Egyptians had better free the Hebrews post-haste if they know what’s good for them. Only after the Deadly Plagues have decimated Egypt does Rameses give in. As the Hebrews reach the Red Sea, they discover that Rameses has gone back on his word and plans to have them all killed. But Moses rescues his people with a little Divine legerdemain by parting the Seas. Later, Moses is again confronted by God on Mt. Sinai, who delivers unto him the Ten Commandments. Meanwhile, the Hebrews, led by the duplicitous Dathan (Edward G. Robinson), are forgetting their religion and behaving like libertines. “Where’s your Moses now?” brays Dathan in the manner of a Lower East Side gangster. He soon finds out. DeMille’s The Ten Commandments may not be the most subtle and sophisticated entertainment ever concocted, but it tells its story with a clarity and vitality that few Biblical scholars have ever been able to duplicate. It is very likely the most eventful 219 minutes ever recorded to film–and who’s to say that Nefertiri (Anne Baxter) didn’t make speeches like, “Oh, Moses, Moses, you splendid, stubborn, adorable fool”?